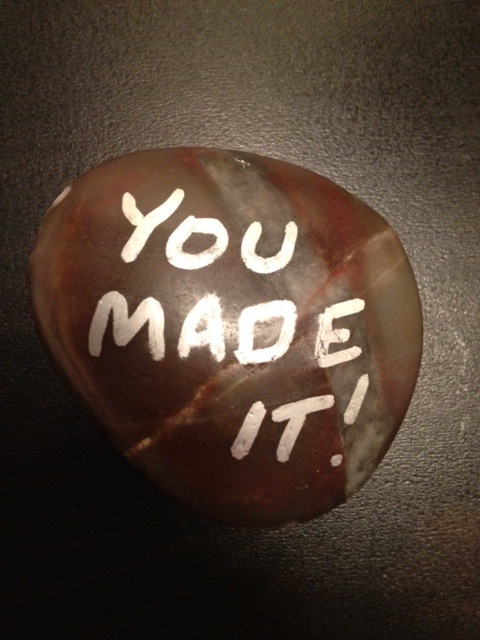 My EMDR Therapist had me pick a rock and write on it…it felt so bizarre doing something like that. Like I was in kindergarten. I felt almost uncomfortable? Or like I was channeling a littler me. Knees knocked together, head down, looking at the selection of rocks. She says she’s going to have me play the piano during a session! Aaaaaghhh! I have not played since I was young…I miss it. Sigh. Why are good things so difficult? 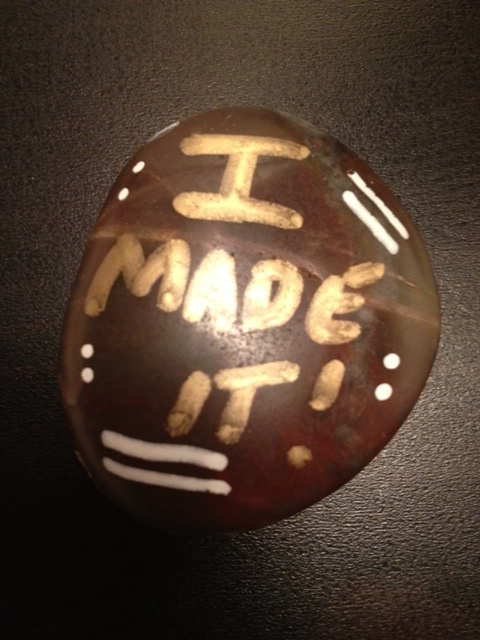 ~ by Kissing The Cockroach™ on March 13, 2012.
i love the message on the rock.. so powerful. you are strong and i hope that it helps remind you of this if you’re not feeling it so much some time. Thank you, WT. I wish it was “easy” to snap our fingers and realize we’ve actually made it…but it’s a process, like anything else! I am sure this rock will have to remind me plenty of times! !